Unionlearn is marking Maths Workout Week once again this October. It’s a week to celebrate maths learning, to challenge ourselves and others to find out how our maths skills are doing, and to take them to the next level. Last week, at the Stepping Up Another Level event, UNISON learning reps heard from Jane Eyre from Blackpool Health branch. Jane uses Malteaser bars as an inducement when she’s inviting learners to complete a quick numeracy quiz. That’s just a ‘teaser’ for the main event: it’s a great way to get people talking about maths, and from there she’s in a position to engage many of them in the kind of learning that’s led to her and fellow ULR Beverley Herring twice being recognised as Unionlearn ULR of the Year for supporting numeracy. Her aim is to show that maths is relevant for people across the entire hospital, no matter what their grade or job role. If you’re looking to organise a numeracy workshop or taster session in your own workplace, we’ve developed some materials to help you. Either of these 1-1.5hr workshops can be run over a lunch break, or split up into shorter sessions. 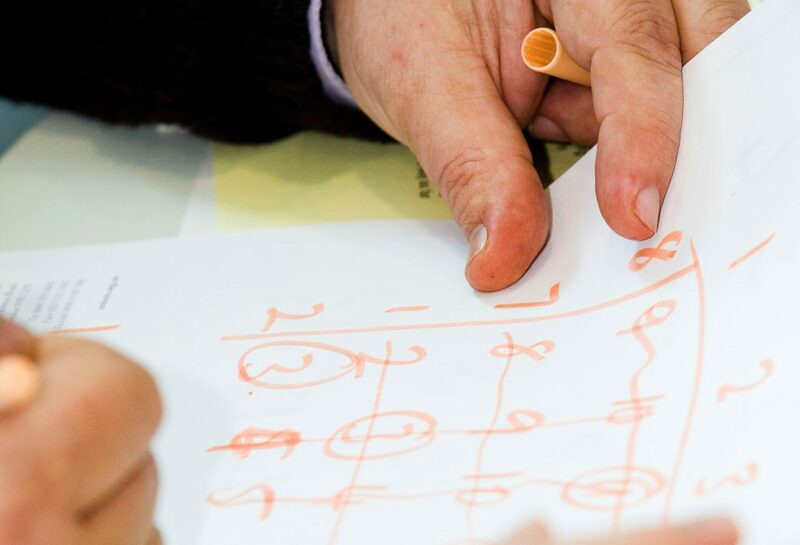 This workshop highlights how maths is an everyday issue, with light-hearted activities that use sports, celebrities and sudoku to introduce it in a non-threatening way. This workshop explores feelings and concerns around numeracy in a low-pressure context. If you’re running a maths event this week, do share the news on social media using the #MathsWorkout hashtag, and tagging us (on Facebook, Twitter, or Instagram) @unisonlearning! This week, anyone who completes the maths assessment on Unionlearn’s Skillcheck will get a free collapsible water bottle. Spread the word! For learners who have a little longer to spare, or who want a more in-depth assessment, the Numeracy Challenge takes you through various areas of everyday maths and recommends ways to help you improve the areas where you’re less confident. There are ways to improve your maths as well as to assess it. Citizen Maths takes you up to level 2 (this is the level that a 16 year old is expected to have when they leave school), while the Open University also has free online maths courses. If that all sounds a bit intense, you can make things smaller… Really small… The Wranx app can help you improve your maths in as little as ten minutes a day. You can find all these resources and more, and can tick them off as you complete them, on our e-learning site. Log on (you’ll need to register for an account if you haven’t done so already) and look for ‘The Path To Better Maths Skills‘ under ‘For Members’. Have fun exploring… and enjoy your Maths Workout!